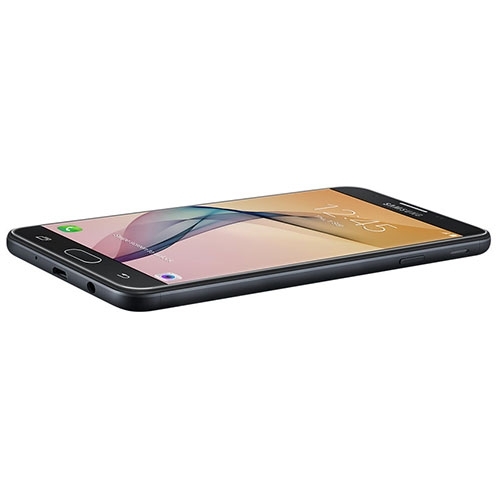 A detailed review of Samsung Galaxy J7 Prime, a mid-range smartphone from Samsung. The device launch was overshadowed by Samsung Galaxy Note 7 fiasco. Past few months have not been the best for Samsung Mobiles with the entire Samsung Galaxy Note 7 fiasco. The company was forced to recall the flagship device and the "safe" Galaxy Note 7 devices had the same exploding battery issues which made the company discontinue Note 7. However, things are much better in the mid-range section for the company. 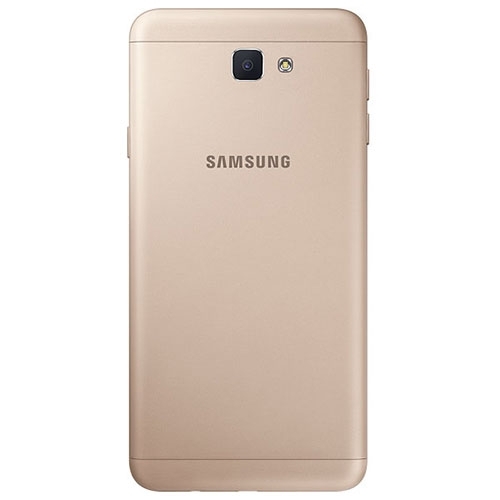 It announced the Samsung Galaxy J7 Prime in August this year and released the smartphone in September for the consumers to buy the smartphone. 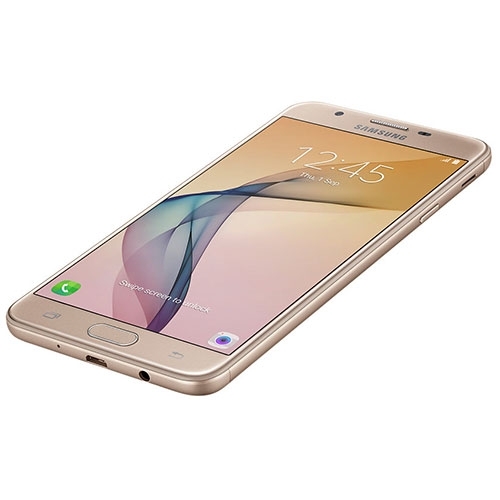 Samsung Galaxy J7 Prime comes with the same old traditional Samsung design with rounded corners. There is no deviation from the design philosophy, and it can be mistaken for any other Samsung smartphone. Overuse of the same design has made Samsung mid-budget smartphones dull and uninteresting from the design perspective. Galaxy J7 Prime sports a plastic build on the front with a non-removable metal back with plastic top and bottom edges. Despite the plastic front, top and bottom, the smartphone surprised me with its sturdy build quality. There were no loose or squeaky parts and the device felt solid despite being a mid-range smartphone. The top area on the front houses the proximity sensor, front camera and the earpiece speaker. The bottom area houses the "Recents" button on the left, "Home" button in the middle which includes the fingerprint sensor to quickly unlock the smartphone and a "Back" button on the right. The buttons are not back-lit and have icons inscribed which remove the possibility of reprogramming them. The device sports a power button on the top at the right side and volume up and volume down buttons on the left side of the smartphone. Furthermore, Galaxy J7 Prime includes the primary SIM slot in the middle portion of the left side of the device with the bottom portion adding a separate slot for second SIM and microSD card. The company has labelled the SIM slots for easier understanding of which slot is the primary slot. Samsung Galaxy J7 Prime comes equipped with a Samsung Exynos 7870 chipset which has an octa-core processor clocked at 1.6GHz along with Mali-T830MP2 GPU. The smartphone is equipped with 3GB RAM and packs 16GB internal storage along with a dedicated microSD slot to expand the storage up to 256GB. Also, it sports a 5.5-inch Full HD LCD IPS display covered by Corning Gorilla Glass on display. Galaxy J7 Prime comes along with a 13MP camera sensor with an f/1.9 aperture, autofocus and LED flash on the back and an 8MP front facing camera with an f/1.9 aperture for selfies. It can capture up to 1080p Full HD videos. The smartphone offers a number of options regarding connectivity options, ranging from Wi-Fi 802.11 b/g/n, Wi-Fi Direct, hotspot, Bluetooth v4.1, GPS with GLONASS or BDS, microUSB v2.0 port with USB On-The-Go support, 3.5mm headphone jack and FM Radio support along with dual-nano SIM card slots. The device supports fingerprint scanner, accelerometer and proximity sensors. 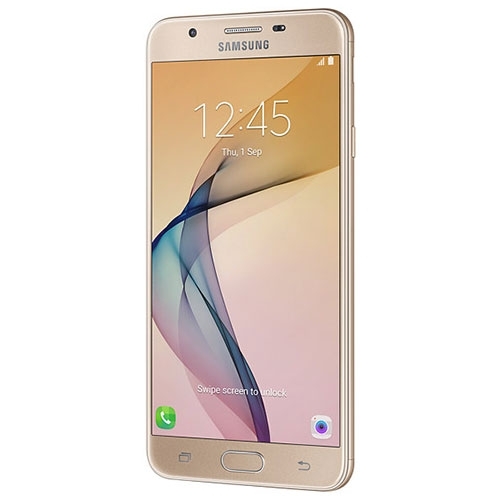 Samsung Galaxy J7 Prime has a 5.5-inch Full HD display with an effective resolution of 1080 x 1920 pixels with 401ppi pixel density. The display has an IPS LCD panel which may not be amazing on paper, but the display seems better in day-to-day usage. The screen is very reflective and you may need to change your orientation when outside, to eliminate the direct reflection from the sun or any other direct source of light. The LCD IPS display provides decent viewing angles despite seeming a bit dim regarding brightness when viewed from sides. But overall, I had a good time while reading, web browsing, gaming or watching videos on display. The colours, contrast and vibrancy of the screen was fairly decent at all times. Samsung has added an "Outdoor" option in brightness settings to improve the visibility of the content on screen when outside. Once you switch the option on, it cranks the brightness of the screen to a level higher than the one offered by Maximum brightness offered under "Display" settings. Samsung gives you the option to change the Font style and size system-wide under "Display Settings" along with a "Themes" section to change the default theme of the smartphone. The Galaxy J7 Prime comes with Android 6.0.1 Marshmallow based TouchWiz Skin out of the box. Samsung has not changed much in the software department when compared to other smartphones in its kitty. But one thing to note is that I received two updates from Samsung during my review which is impressive for a mid-range device. TouchWiz does not provide a stock Android experience, but it brings a balanced doze of Android and Samsung goodness. The device is preloaded with S Health, S Planner, S Secure, Samsung Notes My Galaxy and Galaxy Apps. Also, Galaxy J7 Prime comes with Microsoft Apps like Microsoft Word, Excel, PowerPoint, OneNote, OneDrive and Skype and Opera Max out of the box. The company has kept interesting addons like Easy Mode and FM Radio with recording, along with the integration of Flipboard to make sure that users get features that are increasingly ignored by Smartphone companies all over the world. The software did not stand out, but also did not contribute to sluggishness or lag. Even though the entire package is a bit dated now and may seem to lack consistency, it still gets the work done. Smart Manager and Galaxy Apps are two things that you will not find in any other smartphone with Galaxy Apps being a homegrown app store that Samsung is trying to push to users since many years. Smart Manager, on the other hand lets you do tasks such as cleaning trash, optimising RAM, checking battery life and so on. Samsung Galaxy J7 Prime performed respectably well, without any sign of lag for the duration of the review. The overall UI animations by Samsung were not instant but more gradual. This may be deliberate attempt by the company to make sure that users don't detect the stuttering and slowness in the animations. Otherwise, Exynos 7870 coupled with 3GB RAM zipped through all the tasks, music, gaming, web browsing and photo editing. The call quality of the device was good with a decent amount of sound and clarity. The loudspeaker option during calls had adequate sound for a group to actively participate in the call. One thing to note is that the performance of Fingerprint sensor was slow and inaccurate at times. Sometimes the sensor failed to recognise the fingerprints and other times pointed out that there was no match. It sometimes registered the incorrect fingerprints 4-5 times, temporarily locking the user out for 30 seconds. Even with correct finger orientation, there was nothing amazing about the sensor and the time from putting the finger on the sensor to unlocked home screen varied from 0.8 seconds to 1.4 seconds. The smartphone scored 4647 in the PCMark 'Work performance 1.0' benchmark along with scoring 669 in Single-Core and 3160 in Multi-Core benchmarks in Geekbench 4. Galaxy J7 Prime surprisingly did not heat up considerably during extended gaming sessions and held admirably to heavy games like DeadTrigger 2, Modern Combat 5 and Asphalt 8. The temperature of the device did reach 42-degree Celsius during gaming, but it was in a small area and did not heat up the entire device. It scored 6855, 5102 and 8489 in IceStorm, IceStorm Extreme and IceStorm Unlimited benchmarks respectively. The camera has always been the Achilles heel for mid-range devices offered by Samsung. Despite the 13MP sensor, the rear camera on the device is bad. The photos are decent provided decent lighting conditions and dive to blurry mess in less than ideal conditions. The front camera is no respite and delivers blurry and sub-par photographs. Low light shots are just painful and filled with noise and chromatic aberrations. The company needs to improve the camera experience offered in its Mid-range devices in addition to the excellent quality offered in its flagship devices. The camera app does provide different modes like Auto, Pro, Panorama, Continuous shot, HDR Rich Tone, Night Mode, Beauty face, Sports and Sound & Shot. But they do little to improve the overall camera experience. 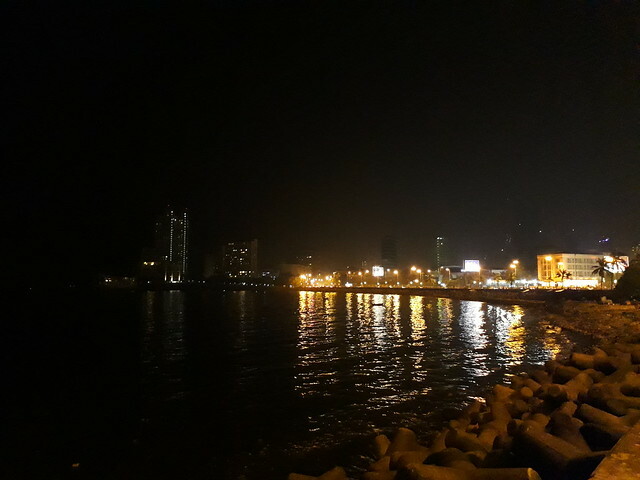 One funny thing to note in "Pro" mode is that it only lets you change the Exposure Compensation, ISO sensitivity and White Balance of the camera without any options to control the shutter speed. The "Sound and Shot" mode works like live photographs without the 'live' photograph part and instead of adding a sound clip to a still shot. The Galaxy J7 Prime comes with a 3300mAh battery and the battery life is probably the strong point of the device. During my extensive testing, the smartphone performed admirably well. The battery lasted a little over 6 hours during my typical day which consists of always being connected to the internet through Wi-Fi, Instagram, Facebook, WhatsApp throughout the day in addition to 40-50 minutes of music, 35-40 minutes of gaming and installing and testing new apps. J7 prime lasted 9 hours and 59 minutes in PCMark 'Work battery life 1.0' which is an intensive test. Things like the introduction of Power saving mode and Ultra power saving mode further extend the battery life. The smartphone also offers to reserve battery for calls, and you can set the conservation mode to kick in once the battery drops to a certain percentage. Even though the performance drops once the Power saving mode is activated, still the fact remains that I would much rather use my smartphone in a reduced performance state rather than a dead smartphone. However, two major things missing in the offering are the USB Type-C port and fast charging. It is almost criminal for people to wait for two hours to wait for their smartphone to be charged from 0 percent to 100 percent, in 2016. 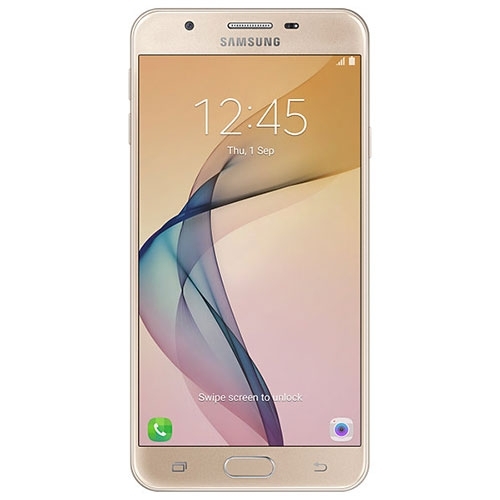 Samsung J7 Prime is a good smartphone. But despite the decent attempt, there is no way that I would suggest this smartphone to anyone, for its Rs 18,790 price tag. I would never pay this much money for a smartphone that is uninspiring in design and does not have key essentials like good camera and fast charging. 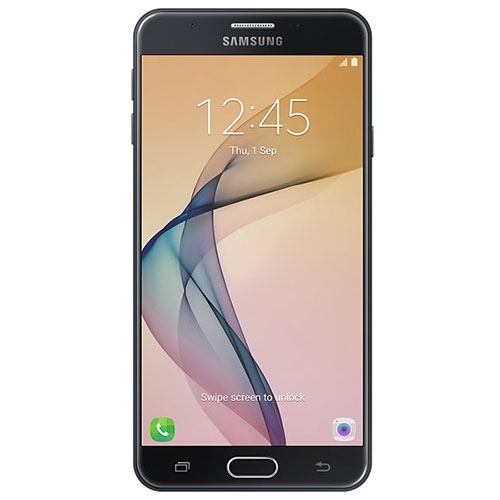 The Samsung Galaxy J7 Prime features a 5.5-inch FHD display with a resolution of 1080 x 1920 pixels and is powered by a 1.6GHz octa core processor and has 3GB of RAM. It comes with 16GB of inbuilt storage, expandable upto 256GB and has a 13.0-megapixel rear camera and 8.0-megapixel front camera. It comes with Android 6.0 Marshmallow OS and support a 3300mAh battery capacity with 3G & 4G.